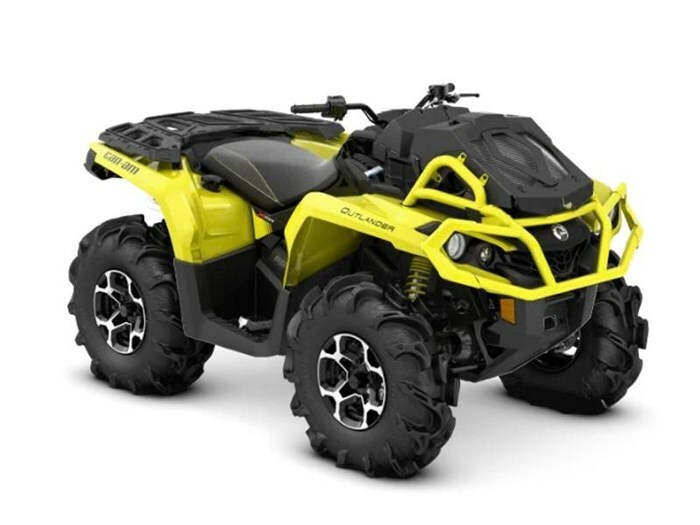 2019 Can-Am® Outlander™ X® mr 650 MUD HAS MET ITS MATCH Find the deep end—and jump in. The new 2019 Outlander X mr 650 gives unmatched mud performance with wider, revised suspension that makes the most of legendary Rotax® power and mud-specific upgrades. Features may include: Rotax 650 V-Twin engine CONTINUE THE ROTAX LEGEND The Outlander X mr 650 takes the 62-hp Rotax 650 and puts all of its torque to the ground with responsive throttle, a signature roar, and power to spare. Renowned for flexible reliability in harsh conditions and easy maintenance, Rotax engines have seen every corner of the world—and that's not a boast. Tri-Mode Dynamic Power Steering (DPS) CONTROL AT YOUR FINGERTIPS Feel off-road terrain like never before with Tri-Mode Dynamic Power Steering (DPS), which gives easy steering assistance and adapts its response to the vehicle's speed. At lower speeds, assistance is increased to reduce your steering effort while at higher speeds it's reduced to return maximum feel to the rider. Choose between three modes to match the conditions. Fully revised front and rear suspension FOR REACHING NEW PEAKS The most significant Outlander upgrade yet, it's all about taking the ride even farther. Starting with front arched A-arms, sway bar, and revised wheels for a wider stance and more confident handling. The independent rear suspension eliminates scrub and camber changes for unparalleled vertical wheel control—rather than in a flexive butterfly motion. Rotax power with leading traction and power transfer. 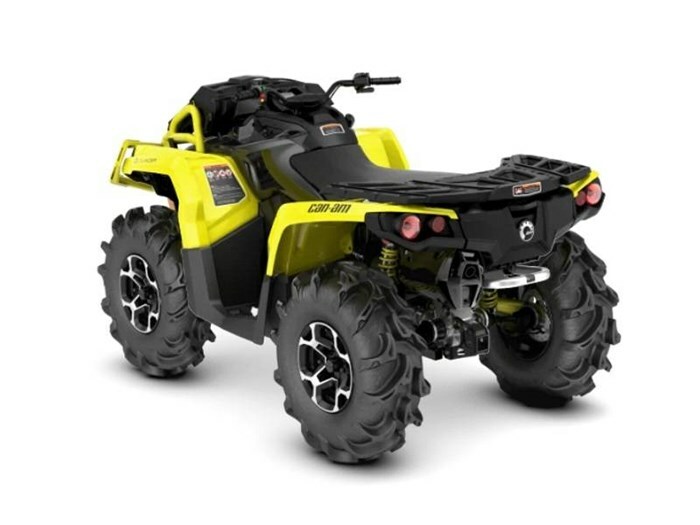 Relocated radiator for optimum cooling UP-FRONT COOLING SETUP For heavy service and located in place of the front rack, the Can-Am Outlander X mr's radiator is kept out of the mud and wears a protective, vented cover, ensuring you'll be able to enjoy all-day rides in deep goop. The large, efficient radiator offers approximately 22 kW of cooling capacity.